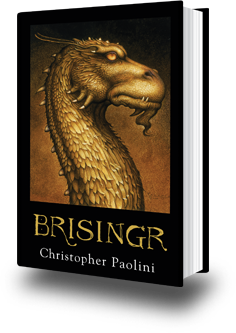 Brisingr is the third novel in Christopher Paolini’s Inheritance cycle. In Brisingr, Eragon, the last free dragon rider, undertakes two voyages through Alagaesia alone without Saphira, his dragon. On one voyage, Eragon travels from Dras-Leona, after defeating the Ra’zac, back to Surda, traveling on foot through enemy territory. The second voyage takes place when Eragon along with Garshvog, a Kull, travel from Surda to the Beor Mountains, the home of the dwarves. As he travels, Eragon feels extreme loneliness, cut off from the mental and emotional link between himself and Saphira. He knows that although it is difficult for both of them to be separated from each other, that the separation will make them stronger, a necessity if they are going to be able to defeat Galbatorix and his dragon. In a summer camp, campers live an experience away from their parents and home. For many campers, this separation is a challenge. 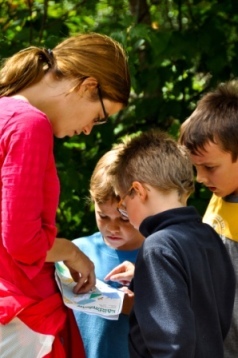 Studies show that most campers will miss their parents at least some of the time when they are at camp. Having worked at Camp Nominingue for more than twenty years, I know how hard this separation can be for both parents and their son. I have also seen so many boys overcome this feeling and thrive at camp. Learning to live without the comfort of home and parents is an extremely empowering experience. When a camper overcomes his homesickness and begins to participate and enjoy the opportunities offered at camp, he gains tremendous confidence in knowing that he can live and thrive independent of home and family. 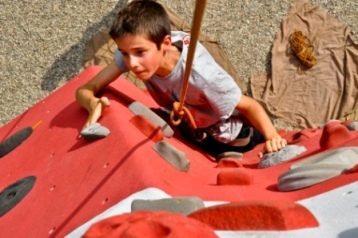 Like Eragon, campers learn that personal growth does take place when new challenges are met and overcome! 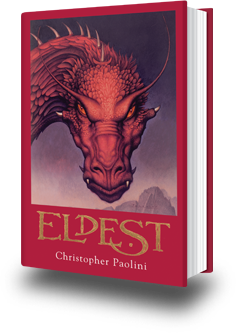 Eldest is the second novel in the Inheritance cycle, of which Eragon is the first, written by Christopher Paolini. In Eldest, Eragon heads off to Ellesmera, the land of the Elves where he will be tutored by Oromis, who it turns out is a dragon-rider like Eragon. The primary focus of this novel is the training of Eragon. He spends countless hours learning to open his mind to the living things around him; to practise the language of the elves, the language of magic; and to learn humility in sword fighting against elves who possess superhuman strength, speed and agility. His is a crash course in wisdom – to learn the wisdom required to face Galbatorix, the renegade dragon-rider who has made himself the king of Alagaesia. The difference is that Eragon only has weeks to prepare himself whereas Galbotorix has had more than a hundred years to acquire his power. 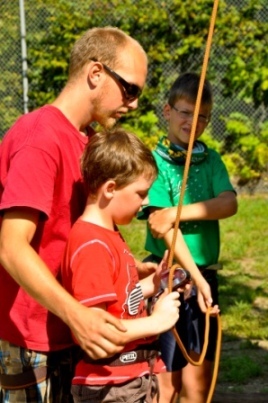 At Camp Nominingue, an important focus of our program is skill training. Although we do not train dragon-riders, we do provide boys with the opportunity to learn outdoor skills which they can use on canoe trips and which they will be able to use throughout their lives. Each morning, campers participate for two hours in two instructional activities, drawn from a list of twenty activities. 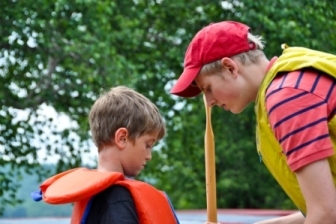 These activities are drawn from five basic categories: canoe tripping, water skills, outdoor challenge, sports and other life skills. 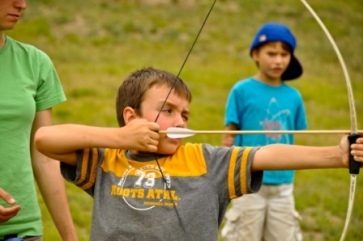 Campers choose two activities which they will take for six days, as they work towards developing a certain level of competence. For every instruction, there are four levels of accomplishment, so there is always a realistic goal for a camper to achieve. Campers receive a shield which records their skill accomplishments at the end of summer and they have the opportunity to continue their skill development the following summer. Camp Nominingue is about fun and friendship as much as it is about skill development, but building skills is an essential part of our program. Growth in self-confidence is often the result. At Nominingue, this has always been true! 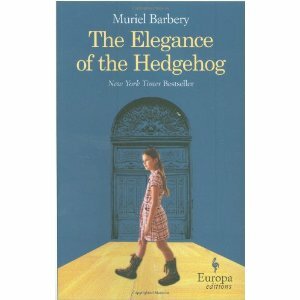 The Elegance of the Hedgehog is the story of three people whose lives intertwine in an apartment building in Paris. Paloma is a twelve year old girl who plans to commit suicide before she reaches the age of thirteen. Renée is the concierge of the building. She lives two separate lives: in the life she reveals to others, she is a gruff, short-tempered concierge, with few deep thoughts, who spends her free time watching TV; in her second, hidden life, Renée is a self-taught woman of the world, whose tastes run to exotic cuisine, classical music and academic texts. The third character of note is Kakuro Oza, who moves into an apartment after the death of its previous occupant. His arrival serves as a catalyst to bring these three unhappy people together. The result is life changing! Kakuro and Renée help Paloma realize that suicide is not the answer, that she can’t expect to be happy all the time. Paloma states: « I have finally concluded, maybe that’s what life is about: there’s lots of despair, but also the odd moment of beauty, where time is no longer the same. It’s as if those strains of music created a sort of interlude in time, something suspended, an elsewhere that had come to us, an always within a never. Yes, that’s it an always within never. Don’t worry Renée, I won’t commit suicide and I won’t burn a thing. Because from now on, for you, I’ll be searching for those moments of always within never. » (p.325) The conclusion of the novel is surprising and bitter-sweet, but in the end appropriate. 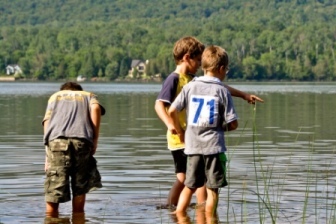 Every camper who arrives at Camp Nominingue is unique: each camper has his own special gifts; each has his own worries and concerns; each has his own particular problems. In many ways, every counsellor at Nominingue is like Kakuro Oza. The counsellor’s role is to reach out and find what is special in each camper, just as Kakuro does with Paloma and Renée. When this happens, as it happens many times each summer, the result truly is life changing!